In 2013, drivers in San Antonio spent a little more than 13 hours sitting in traffic on expressways over the course of the year. Comparisons of traffic congestion across major metropolitan areas showed that San Antonio does not have as much traffic congestion as several other cities in Texas. Most experts agree that drivers are less likely to be in severe accidents in congested area. The heavy traffic forces a slower speed, reducing the risk of major injuries or fatalities. However, the overall risk of collisions can increase with cars in close proximity to each other. The risk may be greatest when a driver comes upon a “sudden” traffic jam, or a line of stopped vehicles he may not have been expecting. Motorists are expected to drive carefully and adjust their speed and behavior to traffic conditions. A failure to do so could result in liability for any collision that occurs because of negligent driving behavior. A San Antonio accident attorney can help victims who are harmed in a collision to take legal action against those responsible. San Antonio ranked #39 out of the large metro areas in America in a survey measuring traffic congestion caused. Traffic jams caused by construction or collisions were not factored. San Antonio’s traffic issues were much less severe than other cities in Texas that made the list of most congested areas. Austin was the fourth worst metro area in the U.S. for congestion and residents spent more than 41 hours in 2013 sitting in traffic. Houston was number 20 on the list, with motorists sitting in traffic for 26.7 hours. Dallas was just below, at 22.1 hours and coming in as number 25 on the list. The worst city in the whole country was Los Angeles, where drivers lost 64.4 hours due to congested traffic. Traffic congestion can have a major impact on crash rates. One study indicated that crash severity was reduced by more than half in cases where all lanes had similar heavy traffic volumes. 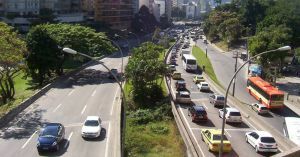 However, in cases where all lanes have similar levels of traffic congestion, increases in collisions with fixed objects tends to occur more frequently. This could be explained by driver efforts to avoid crashing into other vehicles by swerving into objects. When left and interior lanes are congested, on the other hand, the risk of side-impact and rear-end collisions may increase. A survey of more than 8,000 drivers indicated that “sudden jams” may be especially dangerous for motorists. A total of 35 percent of respondents said they had been in a collision because they were not able to stop when they came upon unexpected traffic. Although 64 percent of drivers claimed to know the stopping distance they would need to avoid a collision, only 28 percent of motorists actually knew in advance how far they needed to brake when going at 60 miles per hour. A San Antonio accident attorney can help collision victims. Call the Herrera Law Firm at 1-800-455-1054 to schedule a free consultation. Truck accident injuries and deaths have increased in recent years. In 2012, statistics showed four percent more fatalities and 18 percent more injuries occurred in truck crashes than in 2011. This increase occurred despite the fact that the Federal Motor Carrier Safety Administration (FMCSA) is in the midst of a multi-year effort to remove unsafe truckers from the road. 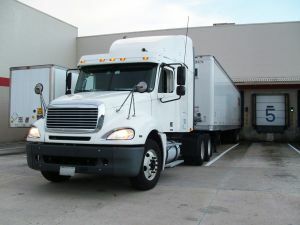 CSA-2010 was launched by the Federal Motor Carrier Safety Administration to replace an earlier program called SafeStat. CSA didn’t include any new laws, but instead was a reporting initiative. It was designed to reduce crashes by measuring motor carrier safety performance. The FMCSA is able to use the data to decide where to focus its limited investigatory resources. Unfortunately, the Government Accountability Office (GAO) issued a 111-page report pointing out many flaws in the CSA-2010 system. As the GAO and the FMCSA work through disagreements about safety measures, real people are losing their lives in truck accidents every day. Victims of collisions can hold truck drivers and trucking companies responsible with the help of a truck accident lawyer in San Antonio. The Herrera Law Firm is here to help. Is the FMCSA’s Data Collection System Effective? The goal with CAS-2010 was to gather performance data about different trucking companies from accident investigations and from roadside inspections. The data would be used to grade each of the motor carriers based on the company’s rate of violation. The different companies would be compared in seven different categories. The FMCSA would then be able to concentrate its enforcement resources on high-risk carriers. The violations that the FMCSA is looking at are not necessarily the ones likely to lead to accidents. Trucking companies can violate all sorts of safety rules, but only certain ones increase the chances of truck accidents. The GAO believes that the focus should be on identifying the violations that have a direct correlation to collisions. There is not sufficient data to actually compare different carriers reliably. Around 95 percent of trucking companies in the U.S. operate less than 20 vehicles. The FMCSA cannot possibly inspect enough vehicles from each trucking company to create a reliable comparison. These are major problems, because if the system is flawed, the FMCSA may be focusing its efforts and investigations on the wrong trucking companies. If the FMCSA doesn’t work effectively to stop dangerous trucking companies from operations, these companies can continue to keep their fleets on the road and put others at risk. The GAO has urged the FMCSA to revise the methods it uses in order to better reflect limits it has in gathering data. It is unclear whether this advice will be taken, as some reports indicate that the FMCSA has pushed back and defended its program. The increase in crashes, however, suggests that current regulations just aren’t working as well as they should. Government regulators and trucking companies both need to consider how to improve safety efforts to try to bring the accident rate back down. A truck accident lawyer in San Antonio can help collision victims. Call the Herrera Law Firm at 1-800-455-1054 or visit www.herreralaw.com to schedule a free consultation.